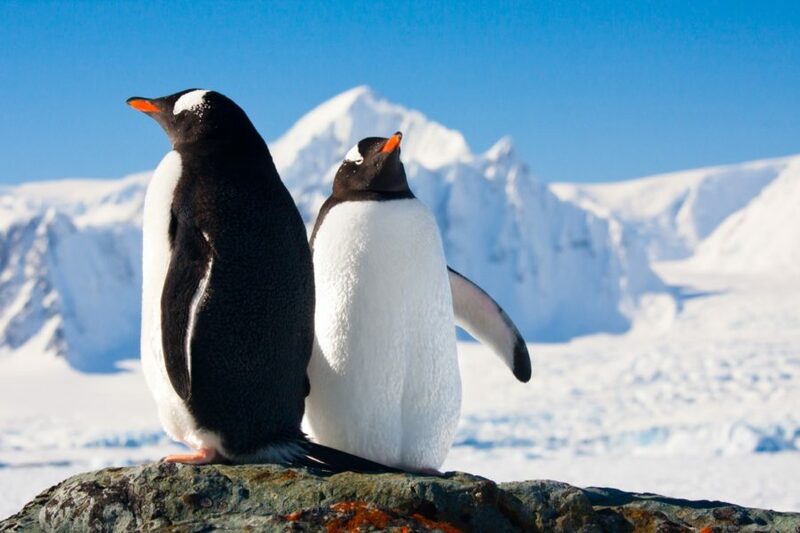 Antarctica has the coldest and driest climate in the world. In fact, because it receives so little precipitation, it’s technically classified as a desert. The inner parts of Antarctica receive an average of two inches of rain per year -- that’s less rain than falls in the Sahara. It’s cold year-round, but most visitors will make the trek to Antarctica during the southern summer, from late October and November to March. It’s during this season that the ice breaks up enough to allow for passage through the waters and possible excursions on the peninsula. It’s also during this time that Antarctica experiences the most sunshine -- up to 20 hours of sunlight, with temperatures hovering around a (relatively) balmy 0C (32F). Not surprisingly, the weather can vary: Sunshine and warmer temperatures can rapidly turn into gray skies and snow, so being prepared for almost any weather is key. Though it’s impossible to hold Mother Nature to a set timetable, there are some guidelines for wildlife that are fairly accurate. The best time to see penguin chicks is in January and February; whales are most commonly spotted in February and March (though you’ll most likely see them in December and through April, too), and elephant seals breed during November and December. Travel to Antarctica is not recommended during the southern winter, April to early October. Some research stations are staffed year-round, but many are summer-only stations. Of course out on the Antarctic ice you’ll want to be well wrapped up and warm, but remember that for much of the time you’ll be on a ship, with a ship-sized closet and storage space. Here are the essentials you’ll need for your trip to the White Continent. Though it can be cold, most of the trips to Antarctica take place during the southern summer, and temperatures will vary. On a sunny day, it could get up to 2 degrees C (that’s 35 degrees F). If it’s overcast, you are almost assured of below freezing temperatures. So packing layers is a smart choice, but don’t over-pack. You won’t need six fleeces and four puffies. Start with a good base layer that will be next to your skin and will keep you warm, but also wick away moisture. Merino wool is a good option because it keeps you warm and dry, and it’s naturally odor-resistant. One set could last for your entire trip, if you like. On the feet: Knee-high, waterproof boots are the footwear of choice on Antarctica. Again, most tour companies will assign you a pair before the first land excursion and you’ll keep them for the whole journey. They are easy to wash before and after you go on shore to keep the continent pristine. Wear with a thick pair of wool socks (pack a few extra pairs) and you’ll be good to go. On the head and hands: Waterproof gloves or mittens are a must, along with glove liners, if you have them. Take a spare pair of gloves, just in case. A scarf or neck gaiter could help when the wind starts to blow. Top off with a warm hat that covers your ears. A hat with flaps is not a bad idea. And don’t forget your eyewear. Bright sun creates an incredible glare on the snow. Glacier glasses are top notch, but goggles or high-quality sunglasses will work, too. A polarized pair can help you spot whales or penguins popping out of the water. Sunscreen: High SPF sunscreen is a must. Not only are you dealing with the aforementioned glare, but the ozone layer is also thinnest here. Apply before every excursion. * Why waterproof or water resistant? The inflatable boats used for shore excursions, called Zodiacs, are open-air crafts. Though the drivers are pros, you could be splashed, and it could be snowing or drizzling when you disembark. Having a waterproof or, at the least, water-resistant, outer layer will keep you drier, warmer and happier. You’ll need everyday clothes to wear between excursions. For those days at sea when you move between the ship’s deck and the inside, layers are good for quickly warming up or stripping off. Shoes with good grip are a must as the decks can get slippery. You may want a nice outfit as there is usually a captain’s dinner on the last evening, and anything that doesn’t look like what you’ve been wearing for the past week will be an improvement. However, if you have limited space, no-one is going to judge you. Feeling brave? Pack a bathing suit. There may be an opportunity for a polar plunge, if you’re up for the challenge of jumping into the Antarctic water. Don’t forget your camera. Of course your phone would do, but you’ll want something on which to capture some wonderful experiences. A good pair of binoculars might come in handy. Waterproof bag to keep your small electronics dry. Chargers: there are outlets on the ship for charging your small electronics. Small backpack or daypack for your on-shore excursions. Personal entertainment. There will be down-time on the ship. Some ships have a library, but you might want to take your own reading matter. A deck of cards can be fun, and a journal or notebook to record your observations and thoughts is handy. You’ll thank yourself later. Any medication you need including prescriptions and, if necessary, sea sickness pills. There will be a medical professional on board, but you need to bring your own meds. Hand sanitizer is also useful to have: In a contained area like a ship, people can share more than just a dinner table. How do I pick the right itinerary? 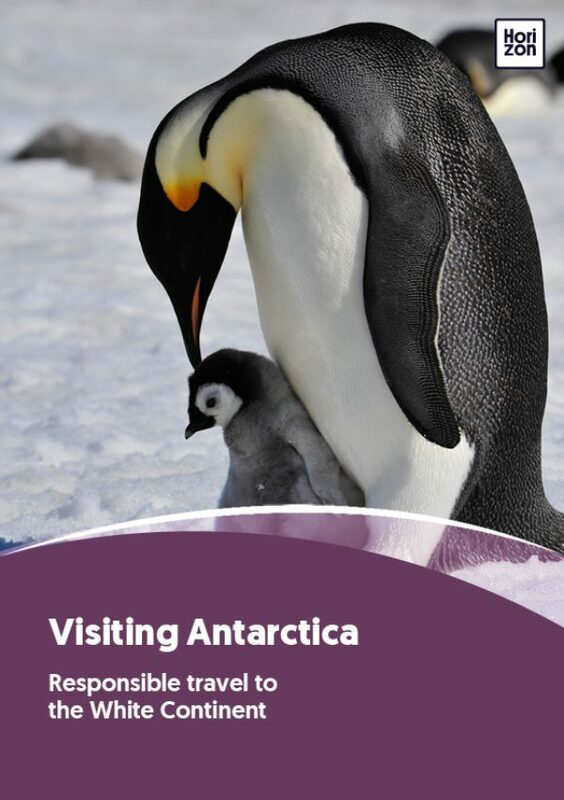 There is a wide range of customisable Antarctica tours that will allow you to create the perfect experience. You can take into account your budget, as well as the time that you have available for this adventure. To pick the right trip, first figure out what would be most important to you, then speak to a tour operator. What is there to do while on the ship? Some Antarctic cruise ships have such luxuries as gym, sauna and small pools, but they are rare. Most ships have a lecture theatre, library, bar and restaurant, and of course a main deck. All offer lectures focusing on the geology, history and wildlife of Antarctica and the Southern Ocean to help you prepare for what lies ahead. You can meet the crew and expedition team and your fellow passengers in the ship’s common areas. Be sure to bundle up and spend some time on deck, taking in the spectacular scenery and scanning the horizon for whales, seals and seabirds. You can also do this from the comfort of the lounges and observation decks. Can we go on shore? Shore landings are a feature of Antarctic cruises and one or two excursions are usually planned per day, weather permitting. You usually get to land in a Zodiac, a sturdy, inflatable, open-air boat that can travel quickly in shallow water. What is there to do on shore? Shore landings are mainly for watching penguins, seals and nesting birds, though itineraries often try to include a visit to a scientific base. Some cruises offer activities such as kayaking, snowshoeing, skiing, hiking, mountaineering and even overnight camping. IAATO procedures require that tour operators coordinate their itineraries so that no more than one vessel visits a landing site at any one time. So your group will always be the only visitors on shore in that location at that time. Also, no more than 100 passengers are allowed ashore at one time, with a guide-to-passenger ratio of up to 1:20. Consequently, shore excursions might have to be conducted in shifts, with passengers going on shore at staggered times. How many people will be on the ship? The number of people on board varies depending on the ship, but most ships carry between 50 and 150 passengers. A few of the mega-yachts and purpose-built cruise ships carry around 250 passengers. Ships carrying more than 500 passengers are prohibited from making landings in Antarctica. How often are trips canceled? What happens if my trip is canceled? Tour operators do their best to stay on schedule and conduct trips as planned. However, there are cases when unforeseen issues pop up and, to ensure the safety of their guests, operators may have to cancel a trip. If this happens, staff will be on hand to help you figure out next steps, whether that’s rescheduling a few days later or rebooking for a later date. It’s disappointing when a trip of a lifetime is canceled, but the companies will do their best to make it right for you. What will the food like on board? Food on board the cruise ships is excellent. Breakfasts and lunches tend to be buffet style, with dinners generally served to your table and featuring three and sometimes four courses with variations for dietary restrictions. Because visitors come from around the world, the range of food is diverse with professional chefs preparing a wide selection of gourmet dishes. What currency should we bring? There is no currency in Antarctica but the unit of currency in Argentina is the Argentinian peso. The main currency at the Port Lockroy Post Office is the United States dollar ($) although the UK pound (£) and the euro (€) are also accepted. On all Antarctic cruises, meals are included but drinks and souvenirs are purchased separately. Most cruise ships accept euros and US dollars. Major credit cards, in particular Visa and MasterCard, are also widely accepted on board. If your Antarctic cruise includes the Falkland Islands, the currency there is the Falkland Islands pound (FK £), although UK pounds are also accepted. Is it safe to go to Antarctica? Yes. Tour operators consistently monitor weather conditions and will always provide you with the best possible adventure without risk of injury to you or damage to the vessel. While some activities may need to be rescheduled or canceled due to the weather, every effort is made to have a contingency plan. It is true that at times the Drake Passage can be rough, but the cruise vessels are built for maximum stability and comfort to ensure that even in rough conditions, sea and motion sickness is kept to a minimum. Ships also have a host of services and facilities to help if you are affected. If you are particularly prone to seasickness, perhaps investigate the possibility of flying over the Drake Passage. Speak to your expedition company about this option. It’s highly recommended that you have travel insurance. There are a number of factors that can cause tour operators to cancel or delay trips, such as a problem with the ship or extreme weather conditions. Most operators will try to switch you to a later trip or give you a refund. But you may still have incurred costs for flights, hotels, etc. With the right travel insurance you may be able to recoup some of those costs.